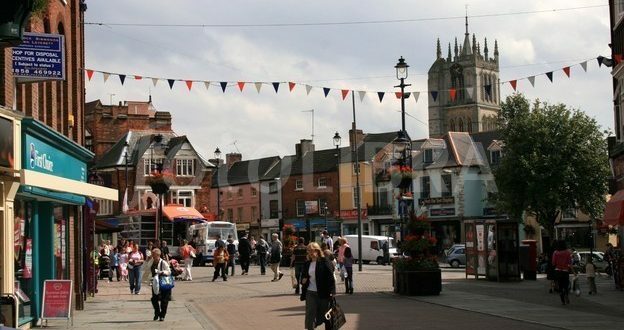 Ideally situated between Leicester and Nottingham, Melton Mowbray is an ideal and easy place to visit. It’s a famous market town in Leicestershire, built on its tradition of farming and fox hunting. And of course the infamous Melton Mowbray pork pie! It’s also known for creating Stilton cheese, and so with this passion for food comes many food festivals which are held in the town every year. It is known as the ‘rural capital of food’, and rightly so. The Melton Mowbray food festival is held every year and attracts thousands of visitors from all over the country, to sample the locally produced food and drink. On top of the festivals, there are regular farmers markets, as well as antique markets. Other than food, it also offers a bunch of other attractions to keep both you and the kids happy. Nearby is Twinlakes Park, a theme park with rides for all the family. The park also has an animal farm and water park, so plenty of fun to be had. If you fancy something more cultural, a visit to the Carnegie Museum, or to the Stapleford Miniature Railway is a must. There is also a heritage walking trail that can be paired with an audio guided tour of the surrounding areas. For accommodation, the Grange County guesthouse is situated within the beautiful rolling hills of the Leicestershire countryside and offers a bed and breakfast option for all rooms. A more luxury option is Stapleford Park, a grand hotel and sporting estate that also doubles as a fantastic wedding venue. Another great option is the 4 star Quorn Grange hotel, which is situated on the banks of the river Soar, just outside of Melton Mowbray. The hotel is ideal for both business trips and family holidays and has 36 very comfortable rooms, which includes eleven executive rooms for an added price. For food, Amici is a relaxed Italian bistro in the town’s centre, which offers breakfast, lunch and dinner options. If you prefer a pub setting, The Nags Head has a friendly atmosphere and excellent food. Nice Pie is a family run bakery which also offers local delivery, with a VIP pie club where you can keep up to date with all of their new products. Why not book our services now to make your trip that little bit simpler? And finally, if you’re hosting a wedding or you have a business meeting or just need a VIP chauffeur in Melton Mowbray. Contact Leicester Executive Chauffeurs today for more information, book online or call us on 0116 324 0004.